The Arc'teryx Alpha AR Pants are a fully waterproof and heavily reinforced pant for all-round alpine protection, but with a design geared specifically for the demands of climbing. The Arc'teryx Alpha AR Pants feature Gore’s Pro 3-Layer but with a twist: Gore-Tex Pro N155p-X reinforcements; exclusive to Arc'teryx, and harder to construct, but more durable and more resistant to withstand tougher and harsher mountain terrains and weather. 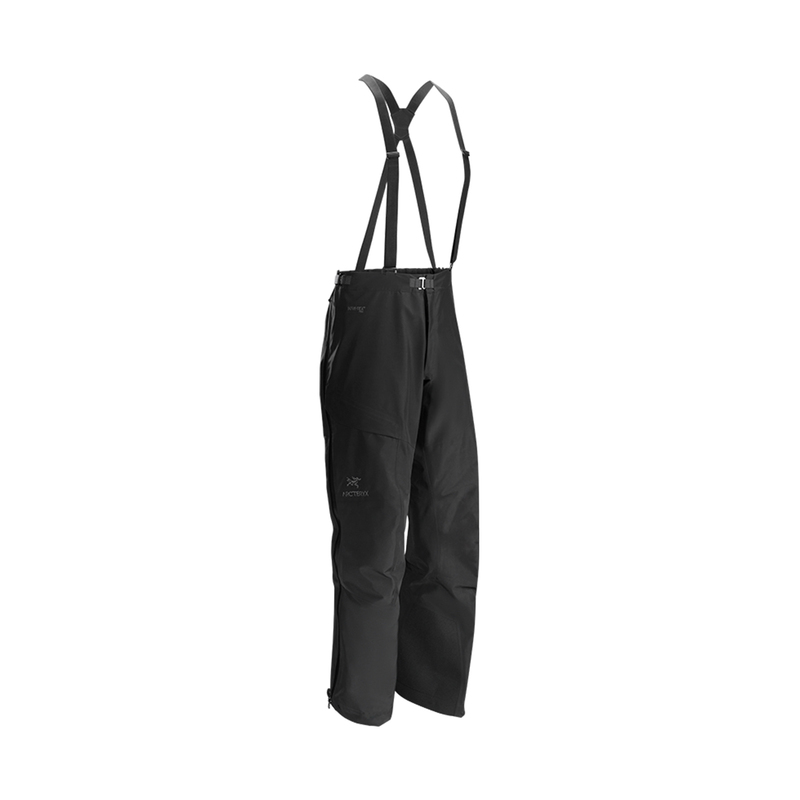 With full crampon protection, and a design built for maximum mobility and compatibility with a harness, these pants are purposefully-built to work with your gear, not against it. Engineered for high impact and abrasion resistance, the N155p-X GORE-TEX® Pro fabric plies together multiple yarns in an Ottoman weave for maximum density, ruggedness, and durability. These fabrics are more difficult to construct, but provide an exceptional durability and weight-to-strength ratio. Keprotec™ instep patches provide superior protection against damage by boots, crampons, and ski edges, with a unique internal LegWrap™ streamlines the cuff to minimize crampon snags when walking and is removable when not needed. The DWR is an ultra-thin, water-resistant treatment whose satisfying water-beading has become the hallmark of a beautiful jacket. Although the DWR is not permanent and will wear off from exposure to dirt and general wear and tear, it can be very easily restored to its original functionality. With fully taped (or sealed) seams, every possible seam in the garment has been sealed up with a waterproof tape to prevent water and snow seeping through the stitching, so absolutely no liquid makes its way into your gear.